PONSHOP Studio is excited to announce the second annual “Art for Park” exhibit – a skateboard art show to benefit the Fredericksburg Skate Park Project. Up to fifty local and national artists have transformed the standard street skateboard deck into a work of art for the walls (or for wheels). Five Dollars of every Artist Registration and 20% of all deck sales will benefit the park initiative. Since 2018, the “Art for Park” art exhibition series has raised over $1,000 for the park initiative. PONSHOP Studiois pleased to announce the return of “Art for Park”, a community art exhibition, whose goal is to raise funds for building a new skateboard park in the Fredericksburg region. Artists are charged with adorning a standard street skateboard provided by PONSHOP and we encourage all participating artists to join us for the opening reception on April 5. “Art for Park” will be a celebration of skateboard art and culture with a portion of sales going to support the Fredericksburg Skate Park Project. Initiated in 2013, this organization has been dedicated to improving the existing skate spot at St. Claire Brooks Memorial Park and promoting a safe and friendly public park for the entire community. We have a soft spot for Brooks Park, but the existing wood and steel ramps are outdated, weathered, and in desperate need of a renovation. With this exhibition, we hope to raise awareness of the importance of skateboarding as both art form and recreation and promote the Fredericksburg Skate Park Project’s mission. All artists must use the blank skateboard decks that PONSHOP provides at registration and all work must be for sale. Submit your best work! The gallery reserves the right to reject artwork based on quality, uniqueness and creativity, craftsmanship, and execution. Entries must be original creations of the artist – no reproductions of others artwork. Upon receipt of completed artwork, PONSHOP will equip each deck with a fishing line through the truck holes for wall hanging. The “underside” (or convex side) of the skateboard deck is typically the side to be adorned. All submissions must be intended to hang on the gallery walls (please refer to additional illustrations). All artwork must be for sale. Artwork cannot have a retail price exceeding $300; artwork listed above $300 will automatically be decreased to $300. PONSHOP retains 40% of all sales, with an additional 20% going to the Fredericksburg Skate Park Project. Should your skateboard sell, artists will retain 40% of the total retail price, which will be paid within 30 days of the exhibition closing (April 28). This exhibit is limited to 40 artist entries. Artists are responsible for acquiring insurance on their own artwork. Although PONSHOP will take great care in the hanging and display of artwork, the gallery will not be held responsible for items on exhibit. Artwork delivered that is not dry, of poor assembly, or is incomplete will NOT be accepted. The entry fee is $40 (plus tax), which includes one blank skateboard and a $5 donation to the Fredericksburg Skate Park Project. Entries are limited to one skateboard per artist. Artists can register and pay the entry fee either in store or on our website and choose whether you’d like your blank board to be shipped to you or to leave it at PONSHOP’s storefront for free pick-up. Keep in mind that shipping to and from the gallery is the responsibility of the artist; if you ship your art to us, you must include a return shipping label or we will contact you after the exhibition to collect the cost of shipping from you. Artwork must be delivered between Thursday, March 28- Sunday, March 31. Work delivered outside of these time windows will not be accepted, unless shipping is delayed or you are given permission to deliver late (or early) by gallery staff. Artwork must include a label with the title, medium, artist’s name as you’d like it to be displayed, and the retail price for the art. Retail Priceis the price the art will be listed for sale, not the 40% consignment that you will receive after the conclusion of the exhibition. Hand-delivered unsold artwork must be picked up between Sunday, April 28 and Monday, April 29. Skateboards shipped to the gallery must include a return shipping label or you will be contacted for shipping reimbursement. Artwork picked up after Saturday, May 5will incur a storage fee of $10 per day. This willbe enforced. All Artists will be notified via email by April 29 regarding artwork sales. PONSHOP Studio and Gallery is pleased to announce our eighth annual jewelry show for the months of February and March showcasing the work of eight jewelry artists. The opening receptions will be Friday, February 1 from 6-9pm. Each artist brings their own unique style to the mix at PONSHOP, using materials such as semi-precious stones, wood & resin, copper, sterling silver & gold, found objects, stainless steel, and enamel. Our jewelry exhibition features latest pieces from our favorite local jewelers: Cindy Liebel, Leslie Brier, Terresa Buelow, Lisa Latendress, Trish Schornagel and James Williamson. In addition, the show includes regional and national artists Elaine B and Lauren Pratt. Gabriel Pons was commissioned by Hartwood Elementary School to create a 27 foot-long mural for their administrative office that embodies the “spirit” of the school. Above is a time lapse video showing the process from start to finish. “We are a community of dedicated and determined teachers who believe that students thrive in an environment that is inclusive, safe, purposeful, respectful, collaborative, engaging, and responsive. PONSHOP extends are thanks to the faculty and staff of Hartwood Elementary for their sustained efforts in making Hartwood Elementary such a stimulating, incusive and engaging school. PONSHOP Studio and Gallery is excited to showcase art prints contributed from a variety of local and regional artists including: Jenna Andersen (Williamsburg, VA) The Wild Wander (Richmond, VA) Christopher Limbrick (Richmond, VA), Margeaux Ducoing (Fredericksburg, VA), Elliot & Evelyn (Fredericksburg, VA) and PONSHOP owner Gabriel Pons. The gallery will feature framed and unframed original art prints on circulation throughout the duration of the exhibition. I don't believe art has to convey deep meaning to be valuable. We all enjoy a beautiful face or painting, At the same time, of late, it's the relevance in the stories behind my work that evoke deeper emotion. My illustrations are inspired by stories that resonate with me or with subjects I'm fervently passionate about. Creativity has always been a place of healing and expression for me. I think that's typical for artists. We tell our stories and hope they resonate with others. Margeaux Ducoing is a fine artist, illustrator, and graphic designer who currently resides in Fredericksburg, Virginia. Born in California and raised in Louisiana, Margeaux graduated from the University of Mary Washington with Bachelor’s Degrees in Studio Art and Music with a minor in Museum Studies. Margeaux’s art focuses on her investigations of symbolism using animal imagery. Utilizing a variety of pencil and ink-based mediums, she explores themes like common life experiences, human interactions, relationships, and personal struggles, as depicted through her animal forms. Jenna Andersen is an artist, illustrator, and designer from Virginia, USA. She earned her BFA from Virginia Commonwealth University in 2015 with a degree in Communication Arts. She enjoys drawing themes of lush plant life, adventure, and mystery. Her works are evocative of a narrative, but there is never a “right” answer as to what is happening. She hopes that the audience will create their own stories and worlds from her artworks. The Wild Wander creates art prints, paper goods, and gifts featuring the original artwork of Richmond, Virginia based illustrator Clara Cline. Following in the footsteps of early American naturalists, it's inspired by dusty libraries, cluttered studies full of artifacts, and an abiding curiosity for forgotten history and the natural world. 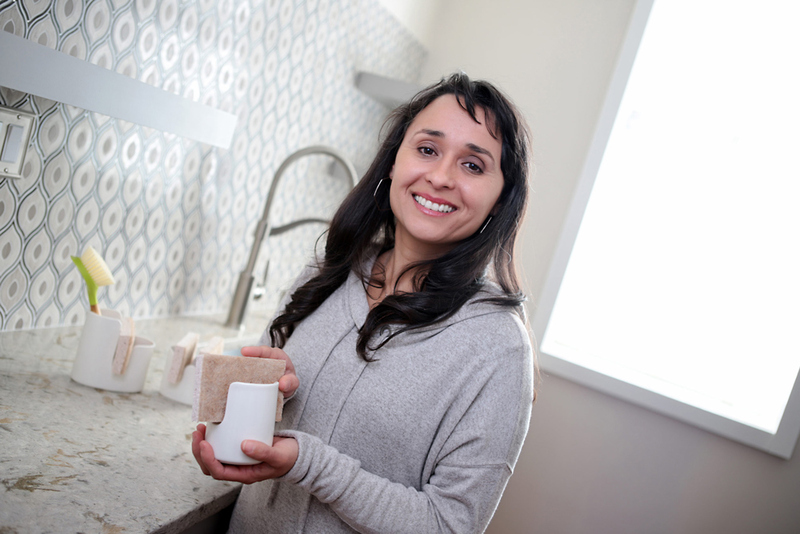 She is passionate about preserving the natural beauty we enjoy, and committed to sustainable design. As a maker, she feels an obligation to create products ethically with respect to both people and the environment. Her hope is that the Wild Wander line balances affordability and sustainability with thoughtful design, and inspires folks to explore and cherish the world around them. “Urban City” is my newest collection of composite work that fuses the natural elements with the grit of the streets. Each work begins with a photograph that captures the essence of day-to-day life in the city. This photograph is then reduced to a monochrome line art drawing with additional elements sometimes added by hand to create distortion or the exaggeration of certain elements. The “urban” image is then overlaid onto a digitized version of an abstract work that was painted by hand. 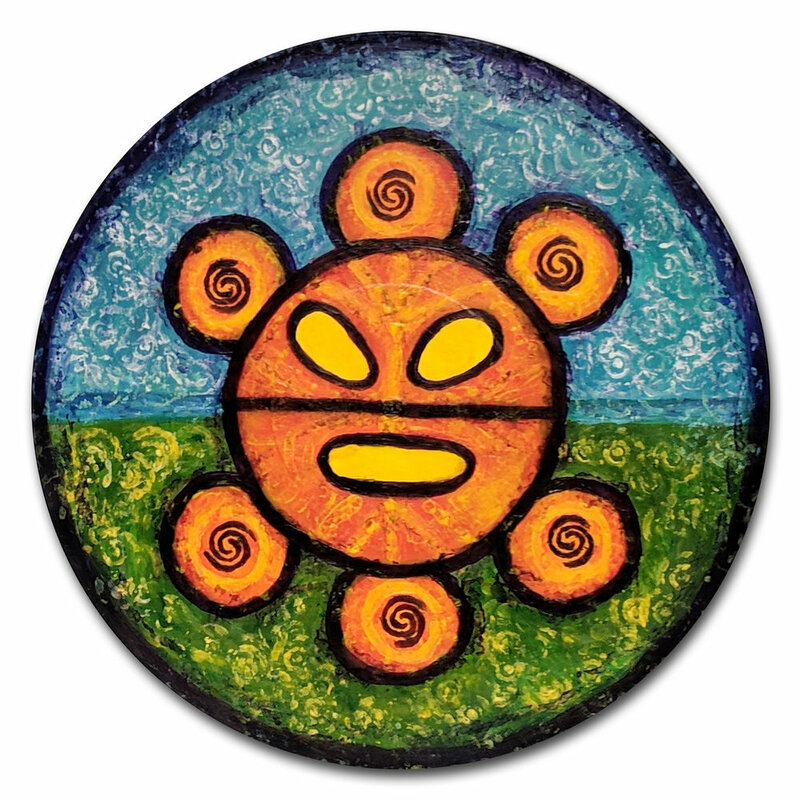 The painting represents the natural environment focusing on the elements: earth, air, water, and fire. It ignores any linear function while providing the color, the gradients and contrast to the whole image. PONSHOP Studio is happy to announce our premiere emerging artists exhibition, “Rise at PONSHOP”. PONSHOP’s thirteenth community show will feature a variety of two-dimensional and three-dimensional art by Virginia’s up-and-coming artists. This new exhibit will shed light on the region’s booming creative population. 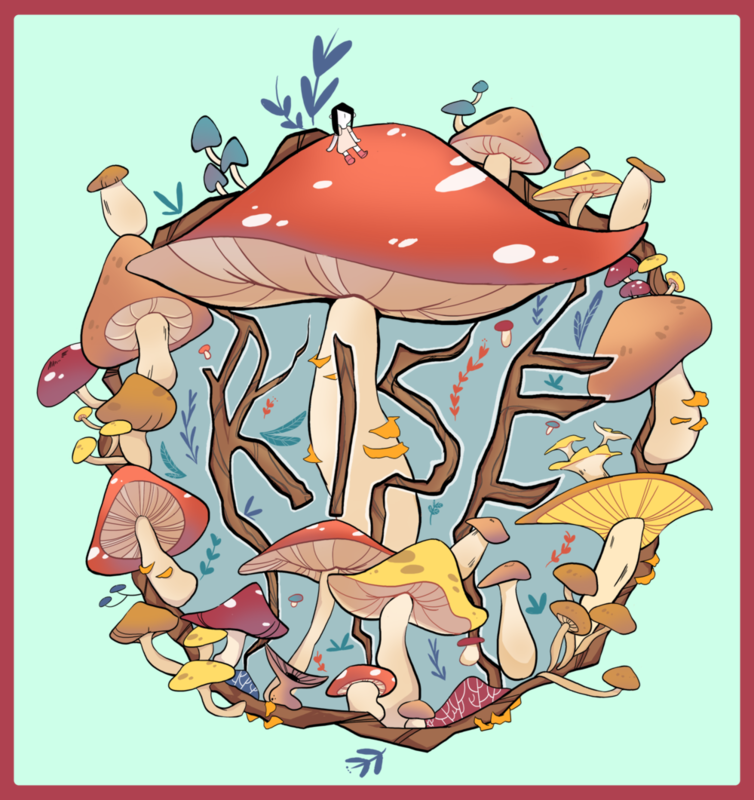 “Rise at PONSHOP” showcases work from artists who have been working professionally for less than three years. The artists selected for this show currently pursue a career with the aspirations of making a living working in their respective media. The artwork exhibited demonstrates these artists’ innovations, distinctiveness, and boldness in their individual crafts. Artwork showcased ranges from paintings and drawings to photography and sculpture. Local artists and PONSHOP colleagues, Margeaux Ducoing and Maddie Huddle, jury the exhibition. Margeaux Ducoing is a fine artist, illustrator, and graphic designer with Bachelor’s Degrees in Studio Art and Music and has a minor in Museum Studies from the University of Mary Washington. Maddie Huddle is a multi-disciplinary artist with a Bachelor of Fine Arts degree from Virginia Commonwealth University’s Communication Arts Department. “Rise at PONSHOP” will be open to the public this summer for two months. The exhibit will run from June 1, 2018 and end on July 28, 2018. PONSHOPis a multifaceted storefront: an artist studio/classroom, gallery and retail store. The vision of the owners, Scarlett and Gabriel Pons, is to provide a place that embodies what they love: art, design, and creative education. PONSHOP Studio is pleased to announce the third installment of “Art for Park”, a skateboard art show held at The Sunken Well Tavern (720 Littlepage Street) to benefit the Fredericksburg Skate Park Project. As a follow up to the overwhelming artist response from spring’s “Art for Park” exhibition, PONSHOP owner, Gabriel Pons has organized another exhibit to include an additional roster of artists. Twenty local artists have transformed the standard street skateboard deck into a work of art for the walls (or for wheels). “Art for Park” is a celebration of skateboard art and culture. 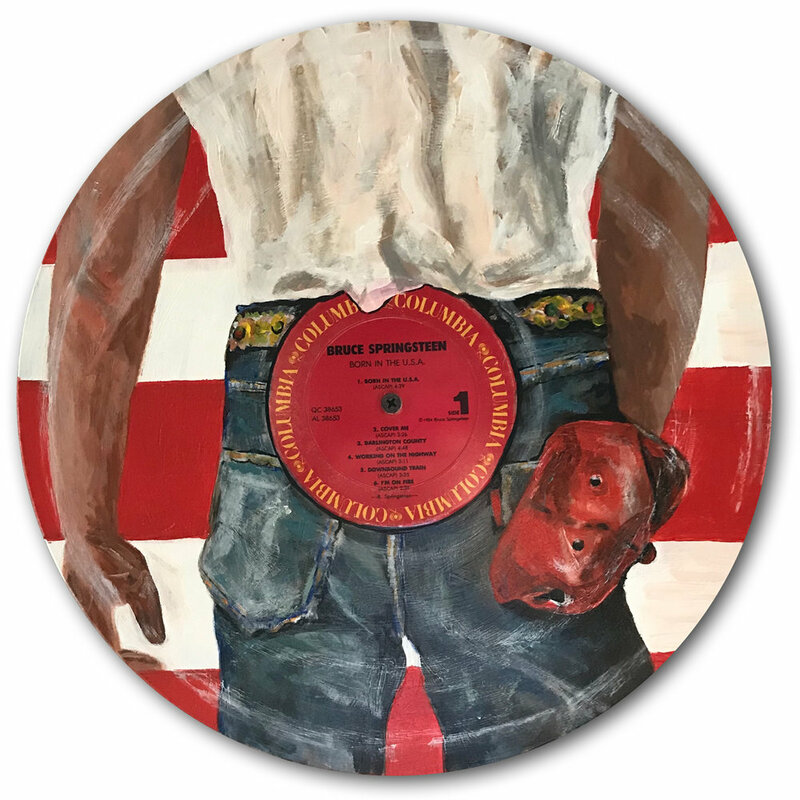 What better way to rally the community than by having artists give their voice on what has, over the past fifty years, become an iconic symbol of youth culture and recreation. PONSHOP is collaborating with Magic Bullet Records and Skateboards and the Fredericksburg Skate Park Project to build community support for a better place to skate in Fredericksburg. We have a soft spot for the Saint Clair Brooks Memorial Park - the existing wood and steel ramps and concrete surfaces are dilapidated, weathered, and in desperate need of a renovation. “Art for Park” is a sustained effort to raise awareness of the importance of skateboarding as both art form and recreation and to promote the Fredericksburg Skate Park Project. Initiated in 2013, this organization is dedicated to improving the existing skate spot at Brooks Park and promoting a safe and friendly public park for the entire community. Five Dollars of every Artist Registration and 20% of all deck sales will benefit the park initiative. Many artists have also opted to donate their proceeds to the park initiative. As of this press release, “Art for Park” events (including Benny Vitali’s “Dough Raiser”) have raised $2,000 for the park initiative. All Decks from “Art for Park” events are available for purchase on the PONSHOP Website. Fredericksburg, Virginia–Recovery is messy, and it looks different to each person. When substance abuse and mental health therapists ask individuals to paint their journey to recovery, some use a bright palette to create a vision of hope. Others sketch their demons. For each, art offers a way to express the struggles that accompany mental illness. Each year, Rappahannock Area Community Services Board honors the role creativity plays in mental wellness by holding the Art of Recovery exhibit. The 14th annual art show will open May 4 at PONSHOP Studio and Gallery in Fredericksburg. A “First Friday” opening night event will be held Friday, May 4, from 5-9 p.m. A reception featuring live music, poetry, and readings will begin at 6:30 p.m. in the gallery’s courtyard. The show is organized by members of Kenmore Club, a psychosocial rehabilitation program operated by RACSB. The exhibit coincides with National Mental Health Month and will be on display through May 27. The Art of Recovery will feature 45 pieces from 40 artists. Artwork includes original drawings, acrylic and oil paintings on canvas, as well as mixed media and ceramics. All of the pieces will be available for purchase. The Art of Recovery provides a forum for artists living with mental illness to gain confidence in their abilities, address misconceptions surrounding mental illness, and experience community support. PONSHOP Studio and Gallery is seeking artists to participate in our premiere emerging artists exhibition, “Rise at PONSHOP.” Our aim is to feature a wide breadth of works by Virginia’s up-and-coming artists and to shed light on the region’s booming creative population. This will be PONSHOP’s 13th community art show, and the most selective art show to date. What are we looking for? Artists who have been working professionally for less than three years that exhibit innovation, distinctiveness, and boldness in their craft. Submissions are open until Tuesday, May 1 and we encourage all artists to attend the First Friday Opening Reception on Friday, June 1 from 6-9pm. PONSHOP wants to recognize as many artists as possible for this juried exhibition however, there will not be any prizes or placements as we’re jurying due to space limitations. Evaluation will be determined by quality of execution and integrity of artwork’s form and content. We look forward to seeing what you have to offer! Maddie Huddle is a multi-disciplinary artist from Fredericksburg, Virginia with a Bachelor of Fine Arts degree from Virginia Commonwealth University’s Communication Arts Department. Maddie has been working professionally as a fine artist for over a year and has roughly four years experience in the art gallery industry. Her work transforms the familiar into the fragmented, inviting viewers to both reevaluate their perceptions of fine art as well as their perceptions of the world around them. ‘Rise at PONSHOP’ is open to Virginia residents at least 18 years old and who have been making art professionally for less than 3 years. ”Professionally” meaning artists pursuing a career with the aspirations of making a living working in their respective media. Artists who have taken on client commissions, are members of a Co-Op Gallery and/or have applied for juried shows in the past are eligible. Works will be juried in two categories: 2-D and 3-D works. 2-D art includes, but is not limited to: paintings, drawings, mixed media, and photography. There is no limit to what materials are used. In fact, the more innovative, the better! 3-D works include, but are not limited to: ceramics, sculpture, and textiles. Again, there are no restrictions to materials used. 2-D artwork must be able to hang on the gallery walls and must be framed or have a finished edge. Artwork must be fitted with a wire suitable for hanging (Reference Gallery Requirements Here, saw tooth hangers will not be permitted). 2-D works cannot exceed 26”x26” (including frame). At this time, the only 3-D artwork we can accept to be hung on the walls is textile art; hanging textile art cannot exceed 26x26”. 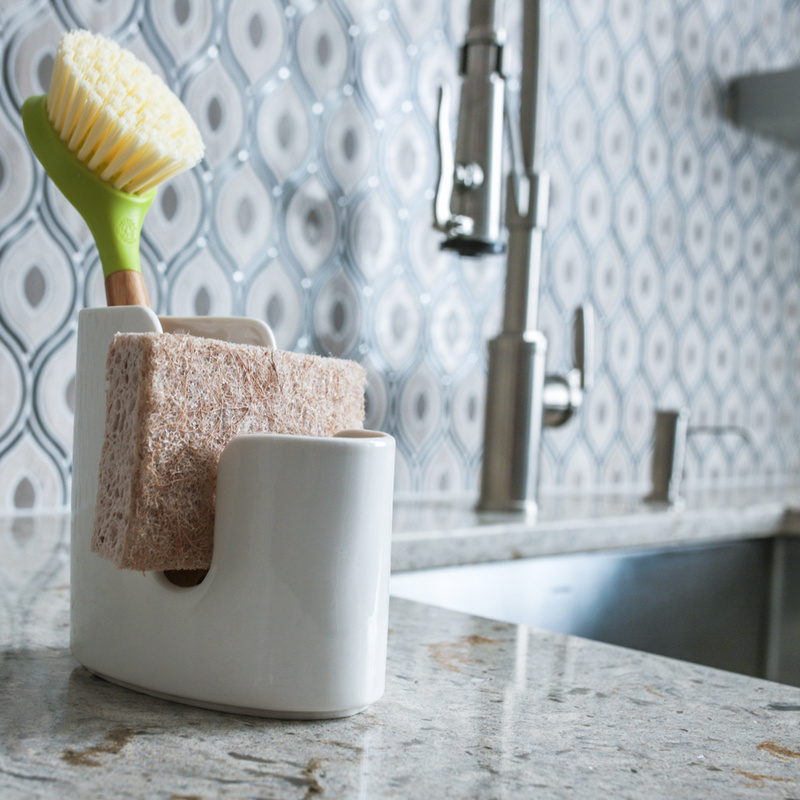 3-D works must be able to rest securely on a flat, level surface without danger of tipping over. 3-D works cannot exceed the dimensions of 10”x10” (we know this is relatively small, however we have a modest gallery space and want to include as many submissions as possible). Submit your best work! The gallery reserves the right to reject artwork based on quality: uniqueness and creativity, craftsmanship, and execution. Entries must be original creations of the artist - no reproductions of others artwork. All artwork must be for sale. PONSHOP retains 50% of all sales on works exhibited throughout the duration of the exhibit. Artists will be reimbursed within 30 days of the exhibition closing. Artwork delivered after Sunday, May 27 will NOT be accepted. Artwork delivered that is not dry, of poor assembly, is incomplete, or exceeds the maximum dimensions allowed (see ‘Submission Requirements’ above) will NOT be accepted. There’s a non-refundable entry fee of $20 and each artist can submit up to 3 artworks. Artists must fill out the Online Entry Form where you will provide registration information and submit JPEG or PDF images of your work (multiple angle shots are allowed). After submitting the entry form, you will be directed to the gallery’s website to submit the entry fee payment. Registration is not complete until the entry payment is made. All entries must be submitted by Tuesday, May 1 to be considered in the jurying process. Once submissions are closed, the jurors will review all submissions and email all registrants by Tuesday, May 15 whether or not they were accepted into the show and which pieces submitted were accepted. Hand-delivered Work: must be delivered between Friday, May 25 – Sunday, May 27 unless permission given by a PONSHOP Gallery employee. Shipped Work: must be delivered between Monday, May 21 – Sunday, May 27. Shipped work must include a return shipping label or you will be contacted for shipping reimbursement if your artwork does not sell by the end of the exhibition. Hand-delivered unsold work must be picked up between Sunday, July 29 – Tuesday, July 31. Artwork that is not picked up by Thursday, August 2 will incur a storage fee of $10 per day, unless PONSHOP Gallery allows an exception. This will be enforced. Unsold shipped artwork will be shipped back to the artist at the artist’s expense within a week of the show closing. Artists who do not provide a return shipping label will be contacted for shipping reimbursement and their work will not be returned until shipping is paid. All artists will be notified via email by Saturday, July 28 regarding artwork sales. Applications close on May 5 or at 75 applicants. The Cause: “Art for Park at Sunken Well” celebrates skateboard art and culture, with a portion of artwork sales towards the Fredericksburg Skate Park Project. Initiated in 2013, this organization is dedicated to improving the existing skate spot at St. Claire Brooks Memorial Park and promoting a safe and friendly public park for the entire community. We have a soft spot for Brooks Park, but the existing wood and steel ramps are outdated, weathered, and in desperate need of a renovation. With the "Art for Park" exhibition series, we hope to raise awareness of the importance of skateboarding as both art form and recreation and promote the Fredericksburg Skate Park Project. Submission Requirements: All artists must use the blank skateboard decks that PONSHOP provides at registration and all work must be for sale. Submit your best work! The gallery reserves the right to reject artwork based on quality: uniqueness and creativity, craftsmanship, and execution. Entries must be original creations of the artist – no reproductions of others artwork. Upon receipt of completed artwork, PONSHOP will equip each deck with a fishing line through the truck holes for wall hanging. The “underside” (or convex side) of the skateboard deck is typically the side to be adorned. 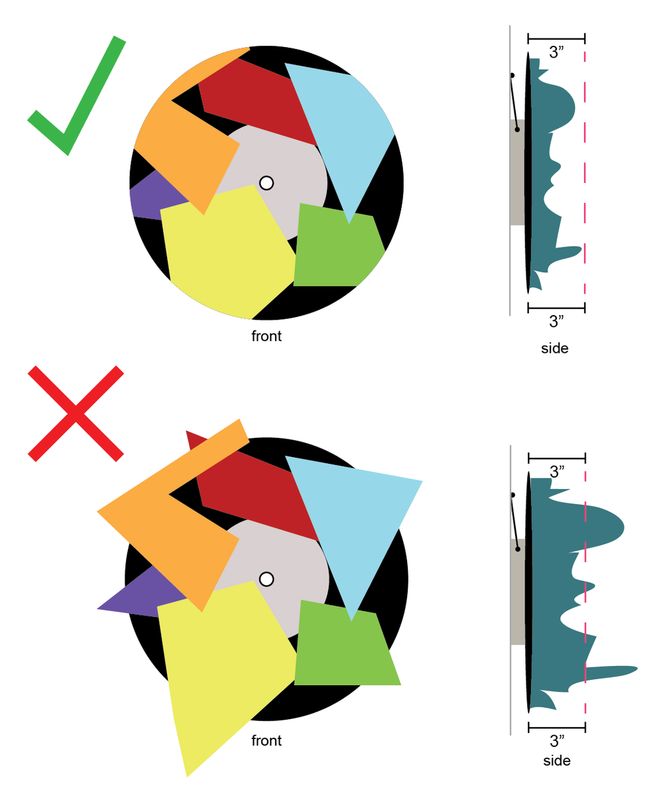 All submissions must be intended to hang on the gallery walls (please refer to additional illustrations). Entry Conditions: All artwork must be for sale. Artwork cannot have a retail price exceeding $300; artwork listed above $300 will automatically be decreased to $300. PONSHOP retains 40% of all sales, with another 20% going to the Fredericksburg Skate Park Project. Should your skateboard sell, artists retain 40%, which will be disbursed within 30 days of the exhibition closing (June 12). This exhibit is limited to 50 artist entries. Artists are responsible for acquiring insurance on their own artwork. Although PONSHOP will take great care in the hanging and display of artwork at Sunken Well Tavern, the gallery will not be held responsible for items on exhibit. Artwork delivered that is not dry, of poor assembly, or is incomplete will NOT be accepted. Entry Procedure: There’s an entry fee of $40, which includes one blank skateboard and a donation to the Fredericksburg Skate Park Project. Entries are limited to one skateboard per artist. Artists must register and pay the entry fee on our website and choose whether you’d like your blank board to be shipped or to leave at PONSHOP’s storefront for free pick-up. Keep in mind that shipping to and from the gallery is the responsibility of the artist; if you ship your art to us, you must include a return shipping label or we will contact you after the exhibition to collect the shipping cost from you. Delivery: Artwork must be delivered before Monday, May 7 to be included in the exhibition. Work delivered outside of these time windows will not be accepted, unless shipping is delayed or you are given permission to deliver late or early by gallery staff. Artwork must include a label with the title, medium, artist name as you’d like it to be displayed, and the retail price for the art. Retail Price is the price the art will be listed for sale as, the artist receives 40% Consignment after the conclusion of the exhibit. Artwork Pick-Up: Hand-delivered unsold artwork must be picked up between Thursday, June 14 and Saturday, June 16. Skateboards shipped to the gallery must include a return shipping label or you will be contacted for shipping reimbursement. Artwork picked up after Saturday, June 16 will incur a storage fee of $10 per day. This will be enforced! All Artists will be notified via email on or before June 12 regarding the status of artwork sales. 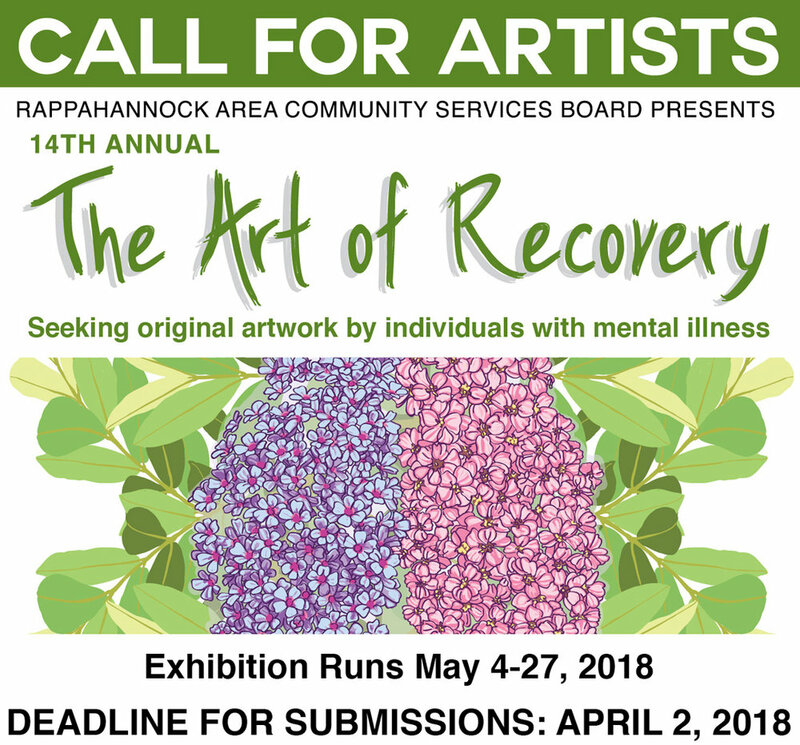 Fredericksburg, Virginia – Rappahannock Area Community Services Board seeks entries for the 14th Annual “The Art of Recovery” exhibit. The art show features original artwork by adults with mental health challenges. The show is organized by members of Kenmore Club, RACSB’s psychosocial clubhouse for adults with severe and persistent mental illness. The exhibit will open Friday, May 4 at PONSHOP Studio and Gallery on Caroline Street in Fredericksburg, Virginia. The opening corresponds with ‘First Fridays.’ The exhibit runs through May 27 and coincides with National Mental Health Month. The Art of Recovery provides a forum for artists living with mental illness to gain confidence in their abilities, address misconceptions surrounding mental illness and experience community support. The RACSB is accepting original drawings, paintings, sculpture, textiles, prints, mixed media, and ceramics. Artwork should be submitted by April 2. Visit rappahannockareacsb.org for an entry form and display instructions. Entries must be accompanied by a completed entry form with the following requested information: name of the artist; year of completion (if known); locale of the artist; dimensions; medium; and sale price. PONSHOP will apply a reasonable commission on all artwork sold. For details or to submit artwork, contact Amy Jindra at 540-373-7737 or artofrecovery@rappahannockareacsb.org. Submissions may also be mailed to RACSB, Attn: Art of Recovery, 600 Jackson St., Fredericksburg, VA 22401. Founded in 1970, the Rappahannock Area Community Services Board (RACSB) provides public mental health, developmental disability, substance abuse and prevention/early intervention services to the residents of the City of Fredericksburg and the counties of Caroline, King George, Spotsylvania and Stafford. To learn more, visit www.rappahannockareacsb.org. PONSHOP Studio is pleased to host “Art for Park” – a skateboard art show to benefit the Fredericksburg Skate Park Project. For this two-month community art exhibit, over fifty local and national artists will transform the standard street skateboard deck into a work of art for the walls (or for wheels). “Art for Park” is a celebration of skateboard art and culture. What better way to rally the community than by having artists give their voice on what has, over the past thirty years, become an iconic symbol of youth culture and recreation. This is PONSHOP’s eleventh community art exhibit and we are collaborating with Magic Bullet Records and Skateboards and the Fredericksburg Skate Park Project to rally community support for a better place to skate in the city. We have a soft spot for the Saint Clair Brooks Memorial Park - the existing wood and steel ramps and concrete surfaces are dilapidated, weathered, and in desperate need of a renovation. “Art for Park” is the beginning of a sustained effort to raise awareness of the importance of skateboarding as both art form and recreation and to promote the Fredericksburg Skate Park Project. Initiated in 2013, this organization is dedicated to improving the existing skate spot at Brooks Park and promoting a safe and friendly public park for the entire community. 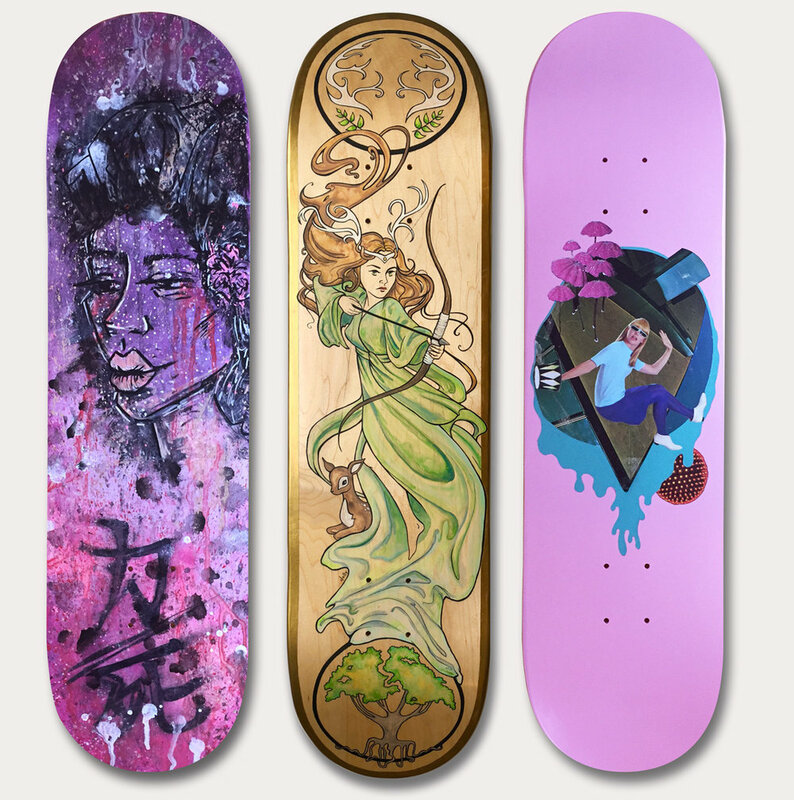 March’s exhibit will feature over a dozen custom-painted decks by local and national artists. April’s show will include over fifty submissions from emerging and professional artists. Five Dollars of every Artist Registration and 20% of all deck sales will benefit the park initiative. PONSHOP Studio is pleased to announce our eleventh community art exhibition in March and April of 2018. We’ve hosted community art shows before, but never like this. “Art for Park” will be PONSHOP’s first skateboard art exhibit and our first community show to run for two months. But we need artists to make it happen! Artists are charged with adorning a standard street skateboard provided by PONSHOP and we encourage all participating artists to join us for the opening receptions on March 2 and again on April 6. The Cause: Not only will “Art for Park” be a feast for the eyes, but a portion of artwork sales are going to support the Fredericksburg Skate Park Project. Initiated in 2014, this organization is dedicated to improving the existing skate spot at St. Claire Brooks Memorial Park and promoting a safe and friendly public park for the entire community. We have a soft spot for Brooks Park, but the existing wood and steel ramps are outdated, weathered, and in desperate need of a renovation. With this exhibition, we hope to raise awareness of the importance of skateboarding as both art form and recreation and promote the Fredericksburg Skate Park Project. UPDATE: Registration for "Art for Park" is Full! We have 50 Artists contributing to the show. Entry Conditions: All artwork must be for sale. Artwork cannot have a retail price exceeding $300; artwork listed above $300 will automatically be decreased to $300. PONSHOP retains 40% of all sales, with another 20% going to the Fredericksburg Skate Park Project. Should your skateboard sell, artists retain 40%, which will be disbursed within 30 days of the exhibition closing (April 30). This exhibit is limited to 50 artist entries. Since “Art for Park” runs for two months, we will have two submission deadlines for artists to choose from. This way, if you’re unable to finish your deck in time for the March portion of the exhibition, you can still participate for the second half in April. Because of this, the gallery must strictly enforce the submission deadlines, see “Delivery” section below. Delivery: Artwork must be delivered between Thursday, February 22 - Sunday, February 25 to be included in the full exhibition for March & April. Artwork for the April exhibition must be delivered between Thursday, March 29 – Monday, April 2. Work delivered outside of these time windows will not be accepted, unless shipping is delayed or you are given permission to deliver late or early by gallery staff. Artwork must include a label with the title, medium, artist name as you’d like it to be displayed, and the retail price for the art. Retail Price is the price the art will be listed for sale, not the 40% consignment that you will receive after the conclusion of the exhibition. Artwork Pick-Up: Hand-delivered unsold artwork must be picked up between Monday, April 30 and Tuesday, May 1. Skateboards shipped to the gallery must include a return shipping label or you will be contacted for shipping reimbursement. Artwork picked up after Saturday, May 5 will incur a storage fee of $10 per day. This will be enforced. All Artists will be notified via email by April 29 regarding artwork sales. Join PONSHOP as they unveil the release in the second of their "Fredericksburg Bell Series" Ornaments on “First Friday” of February. Designed by Print Jazz (Pete Morelewicz) and produced by Craftwork Studios (301 Lafayette Blvd. ), PONSHOP is excited to showcase this collaborative series. The Renwick Bell is rendered on a 3" diameter ceramic ornament with a custom commemorative illustration. In the 1820s, Silas Wood fell in love and married Julia Ann Chew, a native of Fredericksburg. In 1828, as a token of his love and since he considered the city as a place where he spent “the happiest days of [his] life,” he presented the city of Fredericksburg with a “suitable bell for the public use.” Since Miss Chew—a southern belle—was leaving the city, Silas felt compelled to gift the city with another bell. To create the Renwick Bell Ornament design, the owners of PONSHOP, Gabriel and Scarlett Pons, visited the former Fredericksburg Courthouse (805 Princess Anne St.) to photograph, measure, and sketch the historic bell. They collaborated with local illustrator Pete Morelewicz and Craftworks Studio to fabricate the limited edition pieces. Join PONSHOP in celebrating Fredericksburg’s love story this month. PONSHOP Studio and Gallery is pleased to announce our seventh annual jewelry show for the month of November showcasing the work of ten jewelry artists. The opening reception will be Friday, November 3 from 6-9pm. To celebrate the show, PONSHOP is offering a gift raffle during the opening reception. Customers will receive a raffle ticket for each item purchased, eligible to win gifts at the end of the night. Our jewelry exhibition features latest pieces from our favorite local jewelers: Leslie Brier, Terresa Buelow, Lisa Latendress, and Trish Schornagel. In addition, the show includes regional and national artists Elaine B, Daphne Olive, Lauren Pratt, Rare Bird Designs, Karen Smith, and Vanucci, Ltd.
Companionship, Loyalty, Unconditional Love – those are just a few aspects of why we choose to share our lives caring for (and being cared by) our pets. PONSHOP Studio and Gallery is excited to collaborate with Shred Asylum in hosting “Fur-Ever Friends”, an exhibition celebrating the love we share with the animals in our lives. The exhibit features contributions from eight participating artists all centered on this theme with artworks ranging in a variety of media. The opening reception of “Fur-Ever Friends” will be Friday, September 1 (6-9pm). Participating Artists include: Conrad Coe, Maddie Huddle, Anna Martin, Shannon Wang, Leah Emerald, Ben Morse, James Walker and Gabriel Pons. Shred Asylum’s mission is to encourage individuals’ freedom, expression and to inspire creativity within communities around the world. Find out more at www.shredasylum.com.